Thanks to minor refurbishments our shop here in Sellindge is now even easier to find. 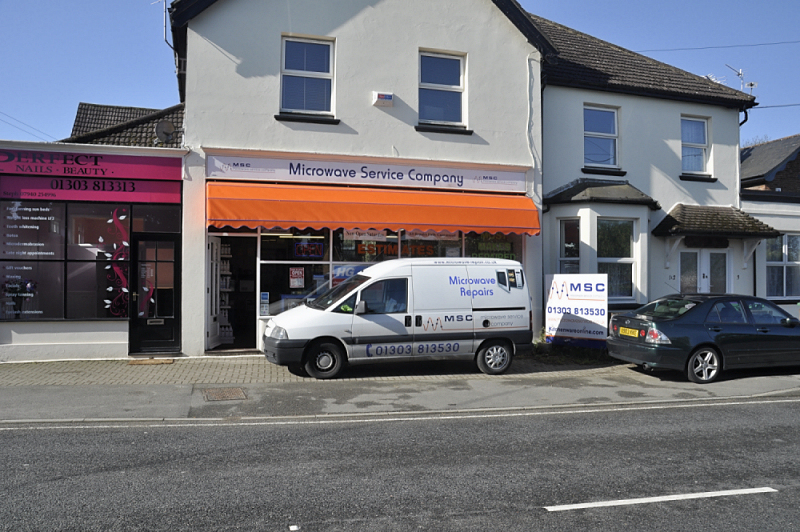 For years we have been guiding customers to our microwave shop by looking out for the Blue awning above the shop window. We had to replace it recently and of course had the choice of colour. As our corporate colours tend to be blue and orange I thought we would have a change and chose the brightest orange in the catalogue, finished with blue edging. Certainly looks brighter from inside. Now we just need a bit more sunshine so it can earn its keep. This entry was posted in General and tagged microwave repairs, microwave repairs kent, microwave service company. Bookmark the permalink.